Our sixth and final value is: “Sustaining the WD-40 economy”. 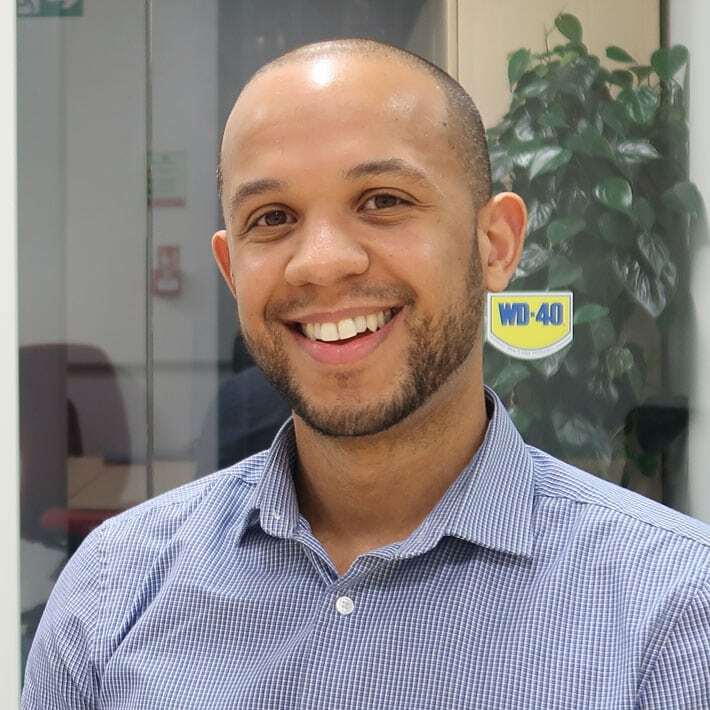 Our UK National Account Manager, Kieron, who joined WD-40 Company in 2011, gives an example on how he has brought this value to life. In this video Kieron touches on discovering an opportunity within the e-commerce channel, whilst collaboratively working with tribe members globally to help grow business. We exist to create and protect economic value for all of our Tribe and stakeholders. We take seriously that many families are dependent upon the actions we take. We are individually and collectively responsible for the future of our Tribe members, and we are accountable for the impact we have on all of the people who are affected by what we do. We recognize and accept this responsibility. We will let you know when new positions become available. A clear sense of purpose ignites passion and enthusiasm in all we do.